Active Home Care provides compassionate home care for families in Surfside, Aventura, Coral Gables, Miami Beach, North Miami, Bal Harbour, Cutler Bay, Pinecrest, North Miami Beach, Sunny Isles Beach, Key Biscayne and all of South Florida. Caring for the home services needs of all of South Florida, Active Home Care services are accessible to your family so you can provide for your aging loved ones at home. Home is the most comfortable place to be when you are aging. Change is difficult and most elderly people cling to their home for its sense of security and familiarity. Active Home Care helps families in Florida keep their loved ones at home while providing them the care they need for the best possible quality of life in their later years. Alzheimer’s & Dementia Care: Caring for elderly people as their mental capacity diminishes is a challenge Active Home Care can help you meet. Our care plans can be adjusted as more services are required so we can keep up with the changing needs of Alzheimer’s patients. Parkinson’s Disease Care: Parkinson’s can progress slowly or rapidly, but Active Home Care will continue to meet your needs all the way. We have skilled nursing services to assist with medications, feeding and blood draws when needed. Personal Care: We offer a wide range of services to cover all of the personal care needs of your elderly loved ones. From bathing and grooming to laundry and housekeeping, Active Home Care will compassionately and cheerfully meet all of your personal care needs. We provide transportation to medical appointments, companionship, grocery shopping and meal preparation, as well. Respite Care: Family caregivers give a lot, but they sometimes need a break to keep up their energy and their spirits. Active Home Care can step in to relieve you of all or part of your care-giving duties while you take a break. 24-Hour, Overnight & Live-In Care: Active Home Care can accommodate any home care requirements, from temporary intermittent care to full-time, long-term help. We provide 24-hour, overnight and live-in care as the situation requires. We work with our clients to determine the appropriate type of care and to adjust the care plan whenever it becomes necessary. 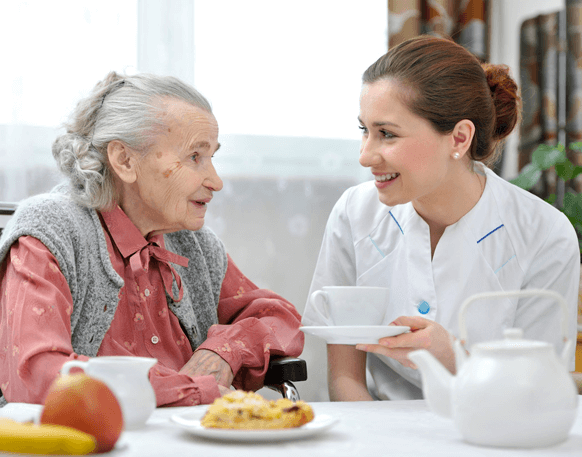 Home care services are important to families caring for elderly loved ones at home. Active Home Care brings the needed services to you, so you can enjoy your loved ones at home where they feel comfortable. Our qualified staff can even bring you skilled nursing care at home when necessary. Active Home Care makes it easy for you to care for your loved ones at home. Contact us today to learn more about our services and how we can give you help and peace of mind while caring for your loved ones. Our clients are our most valuable asset, this is why we strive in delivering the highest standard of care by hiring only professional nurses and caregivers, and doing regular quality checks to make sure every client is really happy.